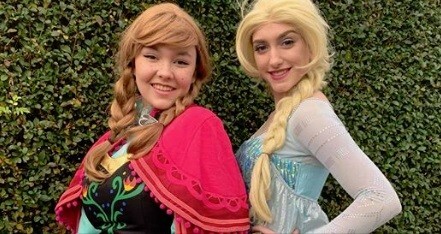 BOTH of our Snow Sister's will be visiting Smokey Joe's Coffee Bar & Prop Hire for a morning of Springtime fun! They'll be singing songs, making crafts, reading stories and taking lots of lovely photos! Included in the ticket price is two hours of crafts (easter egg decorating, bunny mask making and Easter wreaths! ), a sing-a-long, storytime and lots of wonderful photo opportunities. Be sure to join them for the best morning ever! External Website: More details about Smokey Joe's Coffee Bar & Prop Hire and Snow Sister's Springtime Special!